TO-TOE MATZ™ are the perfect tool for getting a dog’s feet ready to perform in sand, dirt, grass, and mud. They’re ideal for strengthening the toes, carpal joints, and hocks on sporting dogs, as well as dogs down in the carpals, pasterns, or hocks. 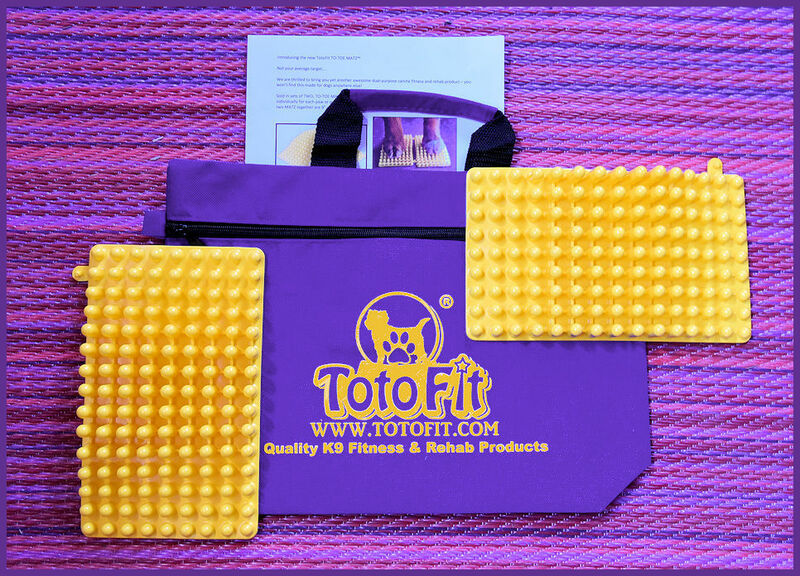 The texture makes the toe and foot flexors grip more actively and assist with posture. May be purchased in Sets of 2 or 4. Canine Sports Medicine experts are learning more and more how important it is to strengthen lower limb ligaments and muscles when conditioning a dog for competition. 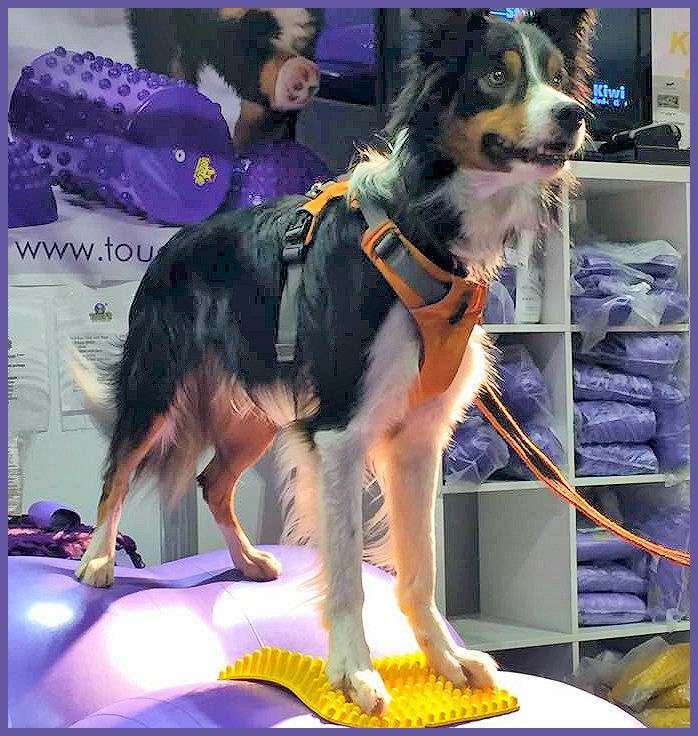 TO-TOE MATZ™ are ideal for training targeting and stacking with the canine athlete. 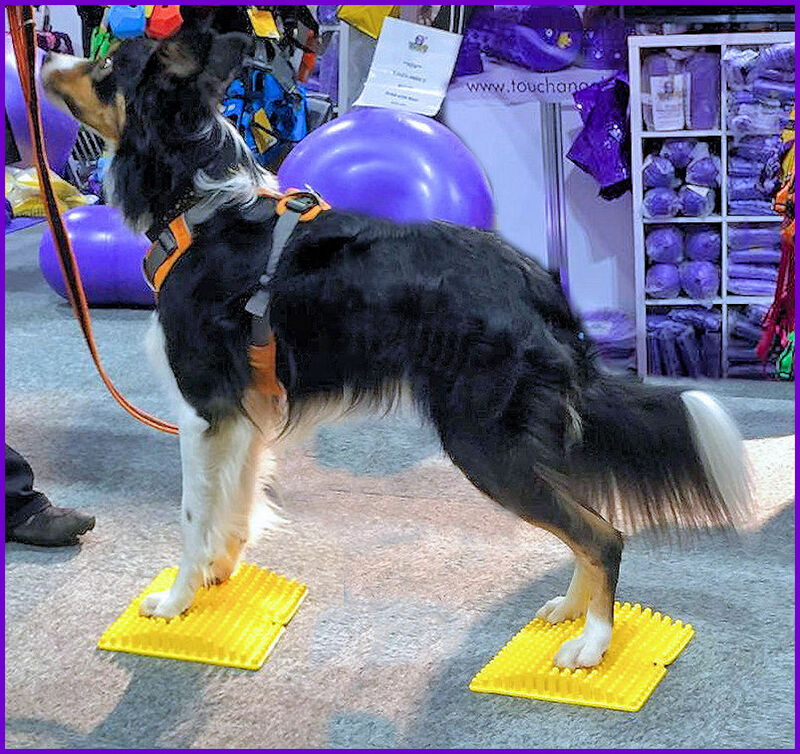 The long flexible bumps are configured in an arch and encourage the dogs’ feet and toes to grip the surface and hold a tight stand and solid position. Target/Stack while working important muscles = WIN WIN! This product is ideal for strengthening the toes, carpal joints, and hocks on sporting dogs, as well as dogs down in the carpals, pasterns, or hocks. The texture makes the toe and foot flexors grip more actively and assist with posture. TO-TOE MATZ™ are the perfect tool for getting a dog’s feet ready to perform in sand, dirt, grass, and mud. 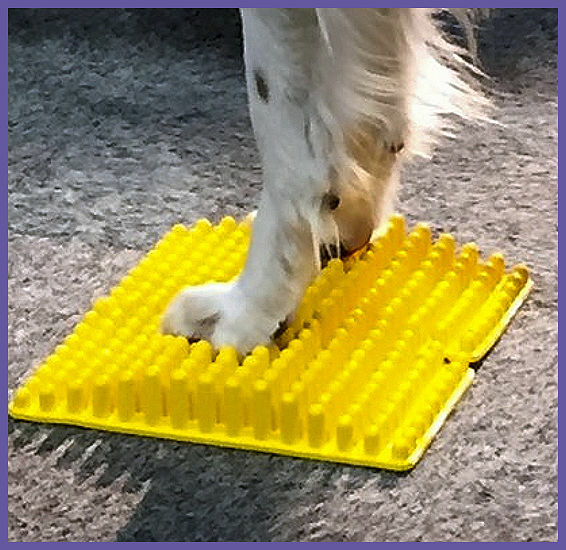 In addition, TO-TOE MATZ™ work wonderfully to aide in balance and proprioception for dogs lacking neurological integrity in their limbs. This may be a dog that has had a neurologic incident or an older dog. Like all TotoFit products, they are Latex, Lead, BPA and Phthalate free and conform to European Union REACH – EC 1907/2006 regulations. TO-TOE MATZ™ do not require inflation and can be cleaned with a mild detergent. Comes in a PURPLE zippered bag!